A Park View Hotel has been built over a decade of hard work and dedication, from a derelict period building to a thriving family business. 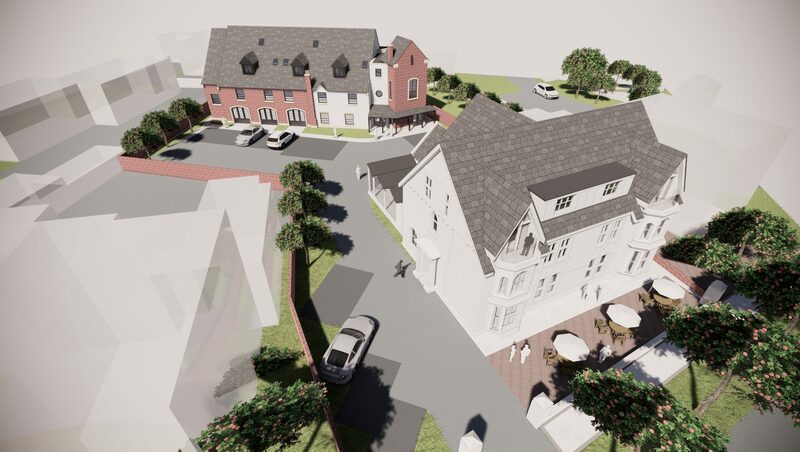 To expand the business, the client acquired adjoining land to accommodate a new hotel block and, in addition, identified the potential for the refurbishment of the existing hotel and restaurant facility. 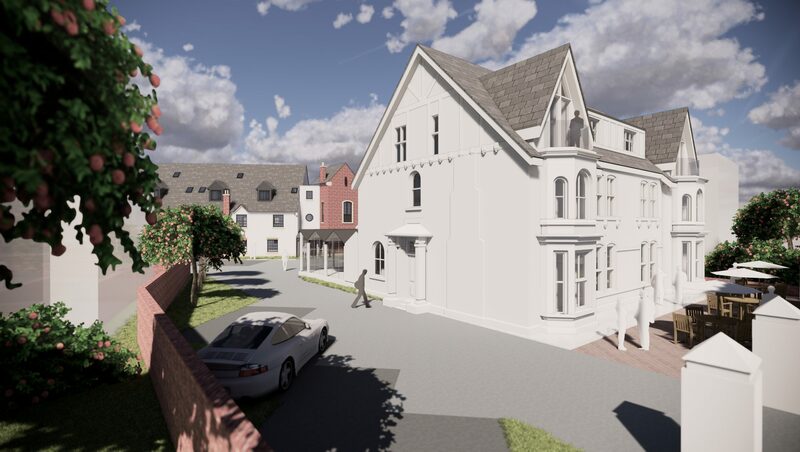 Refurbishment of the existing 20-bed hotel and restaurant is to consist substantially of internal modifications, the result of which will be a historic building with a new lease of life. The traditional character of the building is preserved and enhanced replete with period metalworks, bays, dormers and fenestration. Internally, a new larger dining facility will give a new spacious feel to the accommodation. The new accommodation building is to consist of a total of 23 self-contained bedrooms and ancillary laundry, storage, reception and lounge spaces. The accommodation is to be located on three floors with the top floor occurring within the roof void. In this way, the appearance of the building is 2-storey with the height and mass of the development minimised, a sensitive approach to the design given that the site is in a conservation area having heritage Arts & Crafts buildings in proximity. The design draws upon the historic coach house in its look and feel. Additionally, enhanced by large, ground level, fenestration designed in the style of Victorian cottage double doors, the approaching visitors are left with the impression of walking into a coach house. With planning approval received in June 2018, works are due to start on site in 2019.